How often do you actually use your dining space? Think about that for a minute. Because if you find yourself having more meals in front of the television than at the dining table it might be because your dining space isn’t a place you want to be. It may be functional, but is it beautiful? If you’ve given up on ever really using this space it’s probably time to give it the attention it deserves. 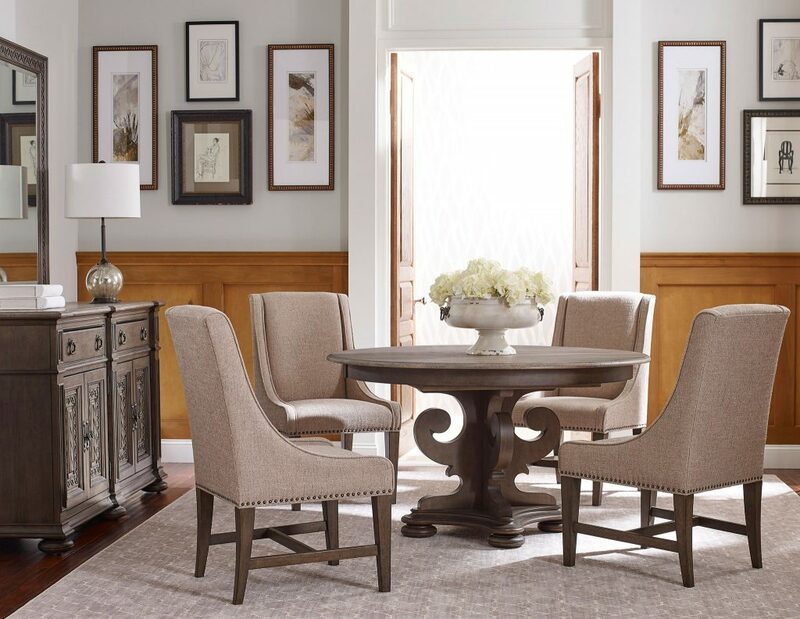 Give your dining space a designer look with our Chattanooga furniture and turn it into a place that makes you enjoy dining. How do you do that? It’s all about atmosphere and this is how you create it. Customize seating so that it’s more comfortable. 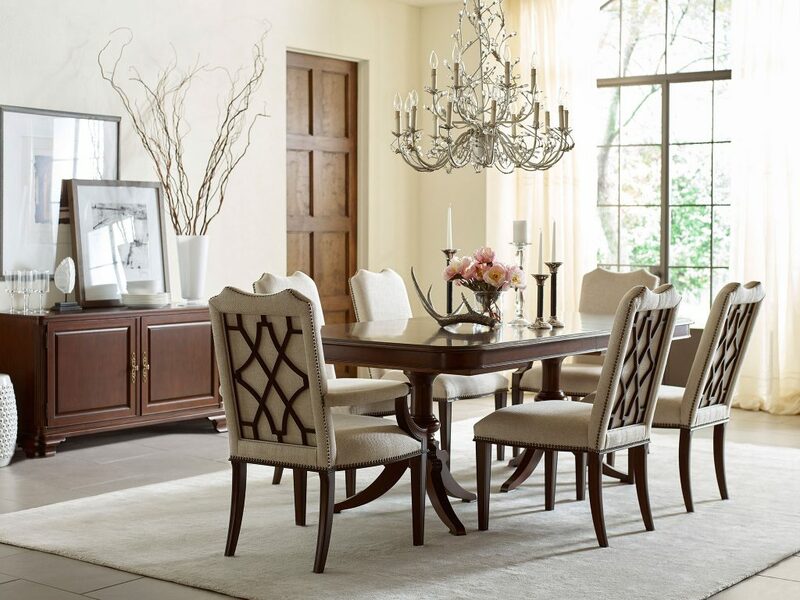 When your dining furniture is comfortable it’s more conducive to conversation. Which means you can linger a little longer over dinner. This banquette seating can be customized to fit any dining table. Don’t be afraid to be dramatic. When it comes to decorating we’re all for the drama! Layer artwork, use giant accessories and mix in unexpected elements. Especially in a more formal space where it can come across as stuffy. 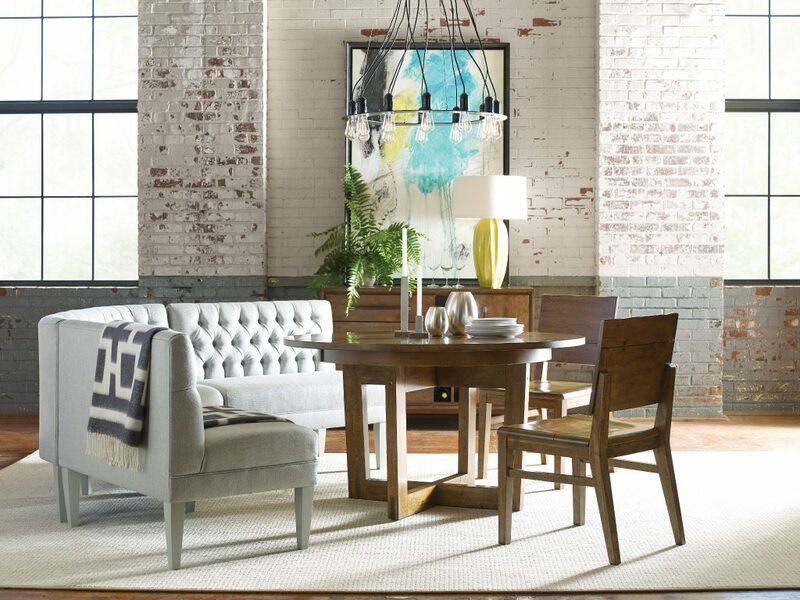 Adding a few eclectic pieces creates a more approachable feel. If your dining space is extra roomy add a conversation area. A pretty pair of comfy chairs placed in a nook is the perfect spot for pre-dinner drinks or after dinner coffee. 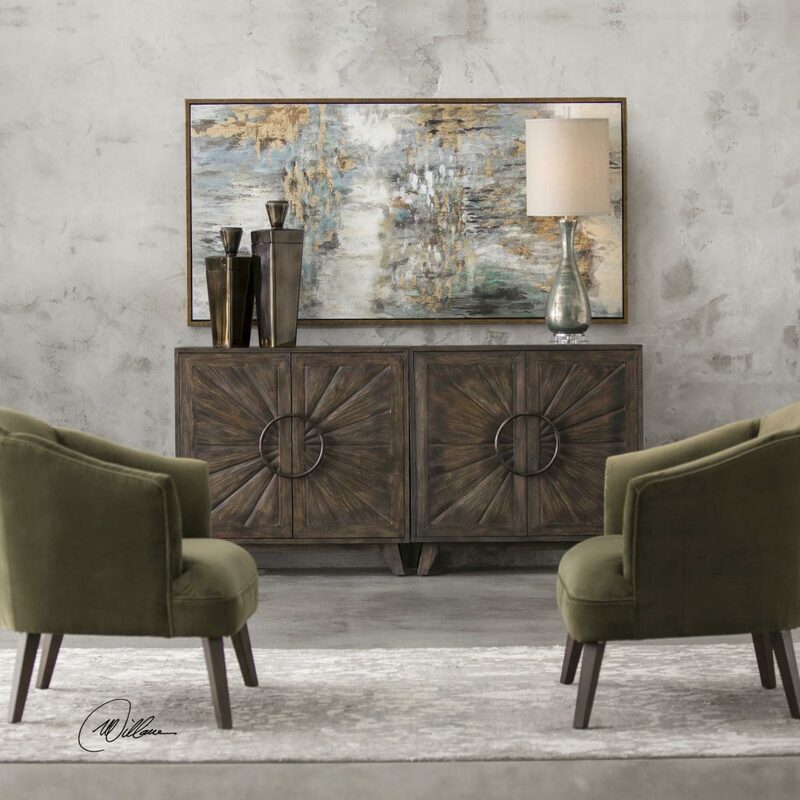 Define the area with a chest or accent table and of course some stylish accessories. Install a gallery wall for a chic modern look. It’s as easy as a variety of simple framed prints matted in neutrals. A gallery wall gives a space personality but it could also be used to create conversation. For example, you could frame old black and white family photos or photography from your travels. Install one amazing statement piece. 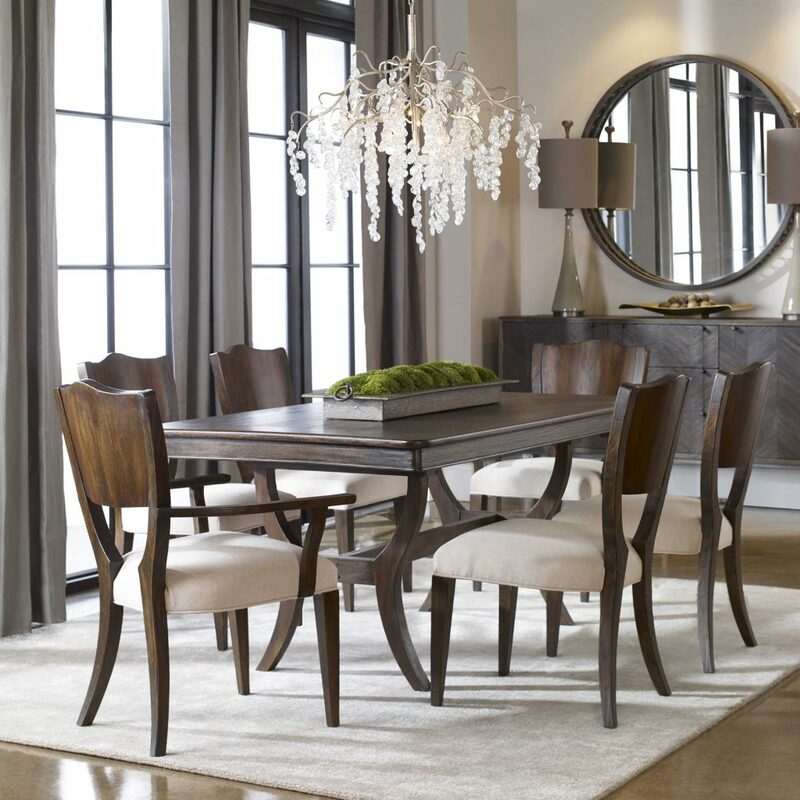 Even a minimalist dining space can be transformed with the right chandelier. This light fixture just seems to drip from the ceiling creating a look that’s anything but ordinary. Create a designer look in your dining space and you’re sure to find yourself wanting to use it more. Let us help you get the look you really want. Visit our showroom to get started.